Competing services such as Spotify resent paying Apple a percentage on subscription and digital item sales, and competitors also argue that the built-in nature of Apple’s own services on iOS also gives the company an advantage. I’m not a lawyer, but it is hard to argue against the position that Apple’s own apps sometimes enjoy advantages running on its platforms because they can fully exploit the system, right down to the processor level. At the same time, there’s strength to the argument that opening Apple’s platforms up to third parties too early could damage the user experience and create security and software conflicts on its devices. Apple’s history shows that it almost always introduces APIs that enable others to access system-level features over time. Apple can also point out that, unlike Google, it does not dominate the market with any of its platforms. Windows and Google’s Android both retain market dominance, which means consumers can use alternative systems – no one is truly “locked in”. Apple is the little guy. It’s just also really good at being both little and highly profitable at the same time. Another criticism appears to be that Apple will not support apps purchased from outside the App Store on its mobile devices. This creates a form of bottleneck to third parties struggling for adoption, the antitrust complaint claims. Apple can of course counter that support for third party stores serves to undermine device security, may deliver unexpected software conflicts, and may reduce the customer experience. Spotify’s central argument appears to be that it wants access to the market Apple has built on its platforms, but doesn’t seem to want to pay for it – an argument I rejected a few weeks ago. That you are unable to choose to shop elsewhere than the App Store using an iOS device may become a harder problem for Apple to solve. The whole affair reminds me of the Microsoft Anti-trust case. Industry observers at that time seemed to think the best solution to that situation might have been to split Microsoft up into three firms: Gaming (Xbox), Software and OS provision. That isn’t what happened, and unfortunately silo-based thinking and poor management led the company to shrink, before new CEO Sadya Nadella turned the show around. Apple has a similar opportunity in its response to these anti-trust complaints. In order to protect the user experience and the huge customer satisfaction levels that experience provides, it may need to gamble on a new approach, and spin out some of its businesses. Apple is resolutely building its services business. These are becoming a media powerhouse, offering music, film, television, books, newspapers and magazines across both iOS and macOS devices. 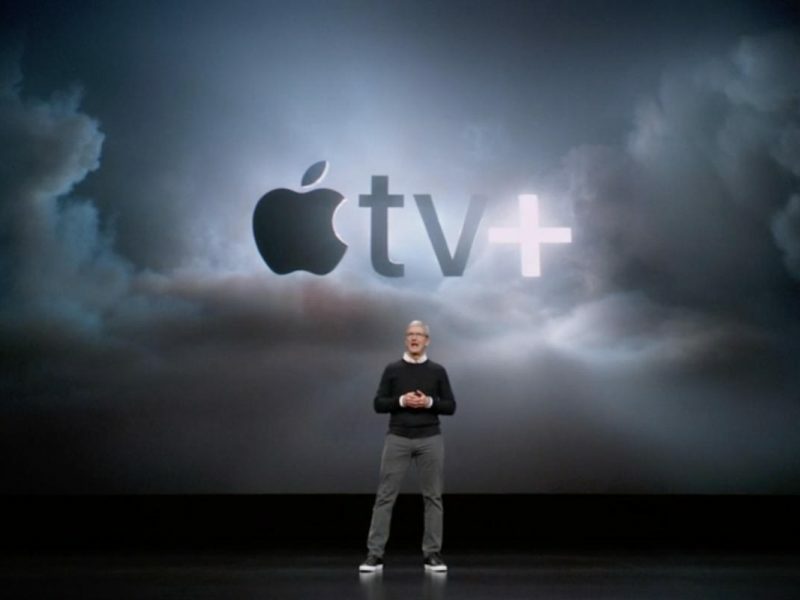 Apple’s TV/AirPlay even works on some Android TVs and the company will even offer its own television channel later this year. Services are highly profitable. They are already generating tens of billions of dollars each year. How much more would these services generate if they were all made available across multiple platforms? At present, Apple seeks to exploit the tight integration between its services and its platforms in order to build loyalty to both. One side effect of this is that if you purchase a zillion dollars of movies on your iPhone and then decide to move to Android, your films are no longer available to you. In practise, most people who choose to move to Apple and use its services also choose to stick with the company – analysts at Needham & Co estimate customers stick with Cupertino for eight years. Apple’s services are market leaders. Before the decline of music downloads, iTunes had become the world’s biggest music store. Morgan Stanley says Apple’s services will become a $100 billion/year business in their own right. They generated $41 billion in 2018. Apple Music on Android is quite popular. If Apple chose to spin its media services business out as a separate company it would also be able to position those services as multi-platform offerings, creating a division between its services business and its platform business and making profit from other platforms. I’m not certain such a move would get anti-trust authorities off Apple’s back, but I’m pretty certain it recognizes the risk of owning the “whole widget”. Why else do you think Apple CEO, Tim Cook, so frequently talks about divisions within the company in terms designed to show how successful they would be in their own right when compared with Fortune 500 firms? The anti-trust case will rumble along for some time, but it seems plausible to think Apple could spin its media services unit out as a wholly-owned yet separate entity in order to quell criticism. It may make even more money doing so, which could perhaps sweeten the pill of such separation.